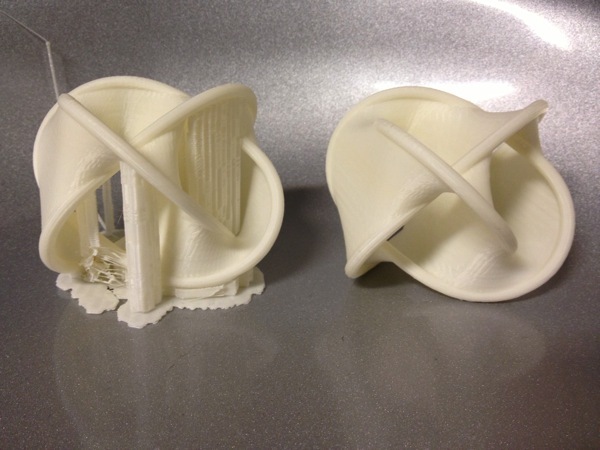 Just a couple of pictures of some mathematical objects we have recently printed out to show you how support is crucial and what it looks like. Calabi-Yau. 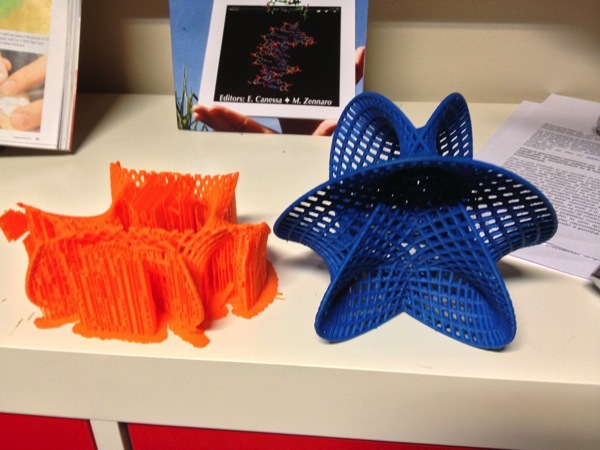 Designed on Mathematica by professor Oliver Knill, mesh cleaned and corrected by Carlo Fonda. 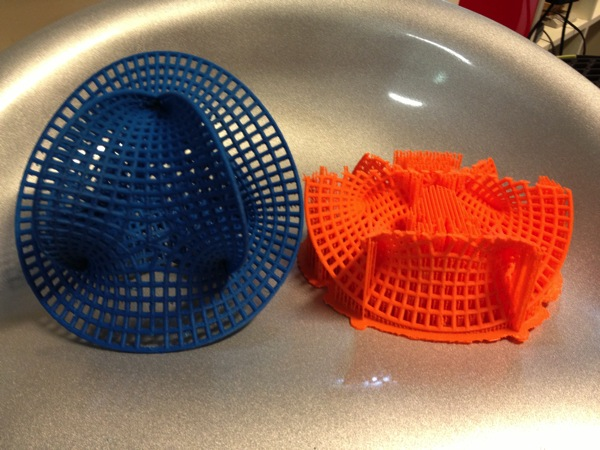 Again ABS on Replicator dual. The orange one stopped halfway probably because of a power failure. Serves as an example to show the support structure. 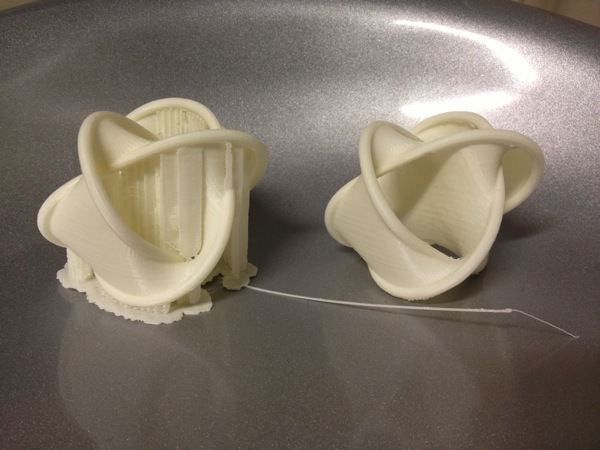 This entry was posted in 3d prints, ABS, Replicator, story. Bookmark the permalink. One Response to The meaning of support!